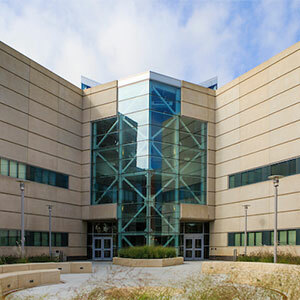 The IS&T Attic, housed at UNO’s College of Information Science & Technology (IS&T), houses undergraduate and postgraduate students who have expertise in web design and multimedia presentation technologies. We work primarily on website projects for non-profit organizations with the intent of researching new ways to present data from multiple platforms and systems, in a way that turns data into valuable information. Our students will take on projects and collaborate with community organizations throughout the process, ensuring quality is maintained every step of the way. 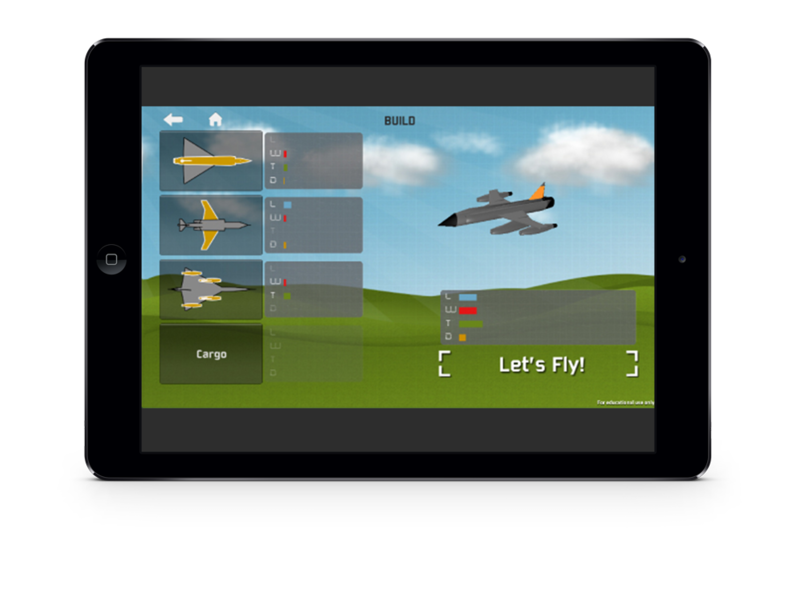 The 4Forces app was developed as a partnership with the Strategic Air and Space Museum in Ashland, NE. Students can check-out tablets while visiting the musem to “collect” parts from the planes on display. Once they have collected enough parts, they can mix-and-match different airplane pieces to try and make a plane that flies as a way to learn about the four forces of flight: lift, drag, thrust, and gravity. 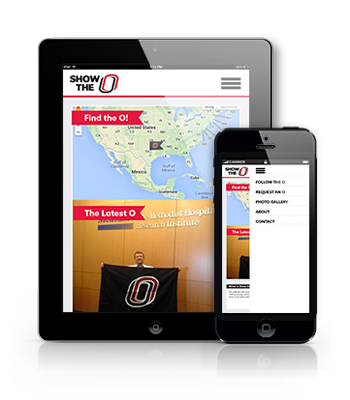 Show the O is a campaign from the UNO Alumni association that encourages UNO graduates to share their picture with a UNO flag. Visitors can see just how far UNO reaches around the world! 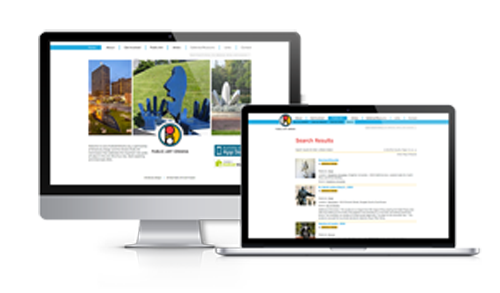 The Public Art Omaha website is host to a public art map of Omaha, and apps for iOS and Android devices. Our students built the database so art can be cross referenced by artist, medium, location of the city, and more. The companion apps let users search for art “Near Me” and even sumbit new art by taking a picture on the go! 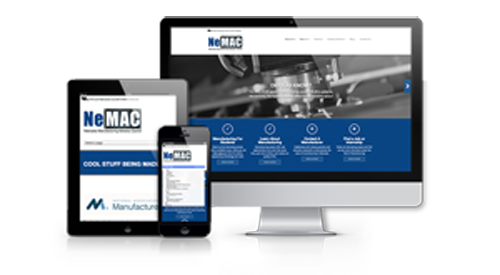 A wordpress theme to support the Nebraska Manufacturing Advisory Council. The Nebraska Manufacturing Advisory Council (NeMAC) is an industry driven advocate and advisory council to Nebraska state agencies and leaders in maximizing global competitiveness in the manufacturing industry. UNMC Gout Racer is a single player driving game that walks students in the UNMC medical program through ways to treat and manage gout symptoms. 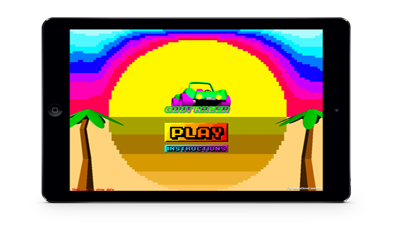 The game was developed as a tablet game, but it also works on the web. It was used by the Rheumetology department as a tool to teach about gout in an interactive format. 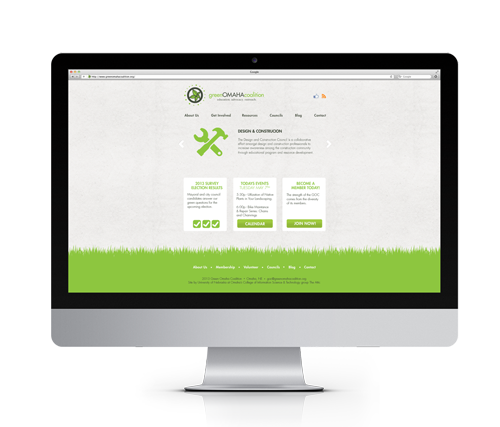 The Green Omaha Coalition website is a redesign into a WordPress platform. The site allows GOC staff to easily update content and share projects. The site has been coded to support Custom Post Types to help manage the GOC membership lists online. 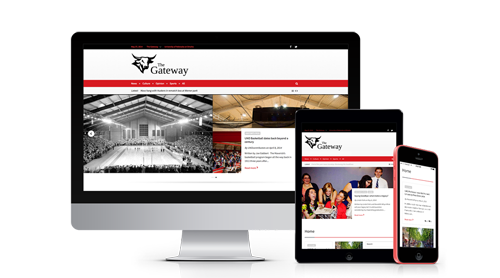 The UNO Gateway redesign brings new life to the online edition of the student newspaper. Built using a custom WordPress installation, the site allows reporters and editors an easy way to highlight stories for desktop, mobile, and tablet viewers. 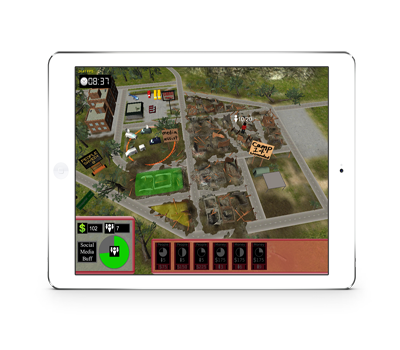 The MIS Tornado game is a real time strategy game that asks players to save as many survivors as possible in 8 minutes. The game is actually a tool to talk about the complexities of information systems. Though it was designed for UNO faculty to use during recruitment tours, it has been downloaded 400 times a month from gamers around the country! The IS&T Grants project brings some internal award tracking to the college staff. This is one of several internal projects which let students learn about and support the day to day operations of the college. Staff can use the site to keep track of grant submissions and awards, expenditure tracking, and keep on top of the data with customized reports. Teaching American History was the first lesson-plan and grant-management site done out of the group. The site allowed Millard and Omaha public schools officials to advertise workshops that history teachers in the area could attend. The site houses many lesson plans for teachers, based on the National AP History curriculum. The lesson plans are moderated and published for any history teacher to use.